A delicious and healthy treat for pet and aviary birds. 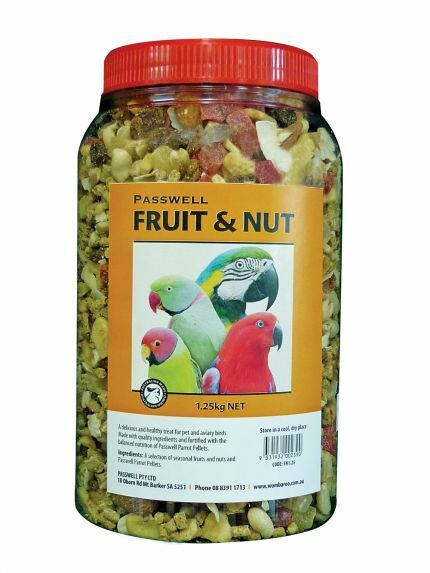 Made with a selection of seasonal fruit and nuts and fortified with the balanced nutrition of Passwell Parrot Pellets. 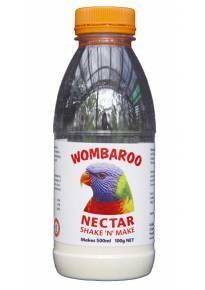 Suitable for medium to large parrots including Ringnecks, Alexandrines, Conures, Amazons, Macaws, Cockatoos and Eclectus. Available in 330g, 1.25kg, 5kg, 10kg & 20kg packs.